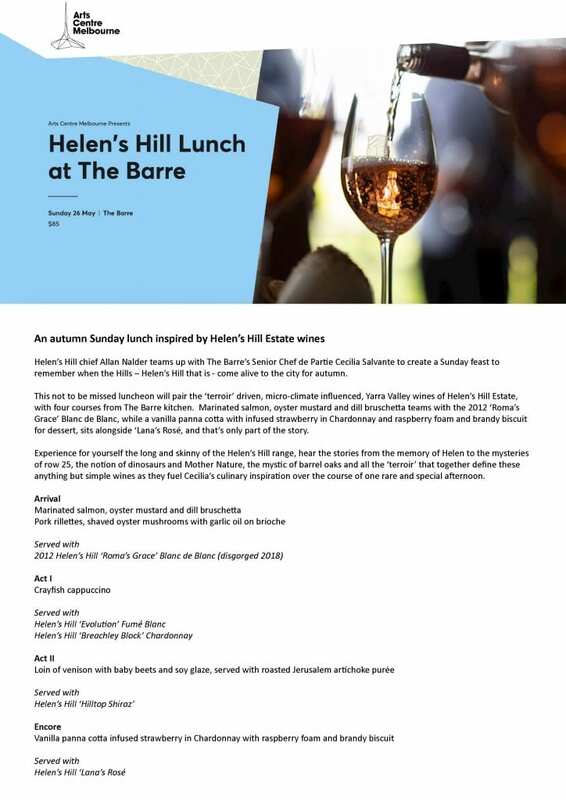 Helen’s Hill Estate chief, Allan Nalder, teams up with The Barre’s Senior Chef de Partie Cecilia Salvante to create a Sunday feast to remember when the Hills – Helen’s Hill that is – come alive to the city for autumn. 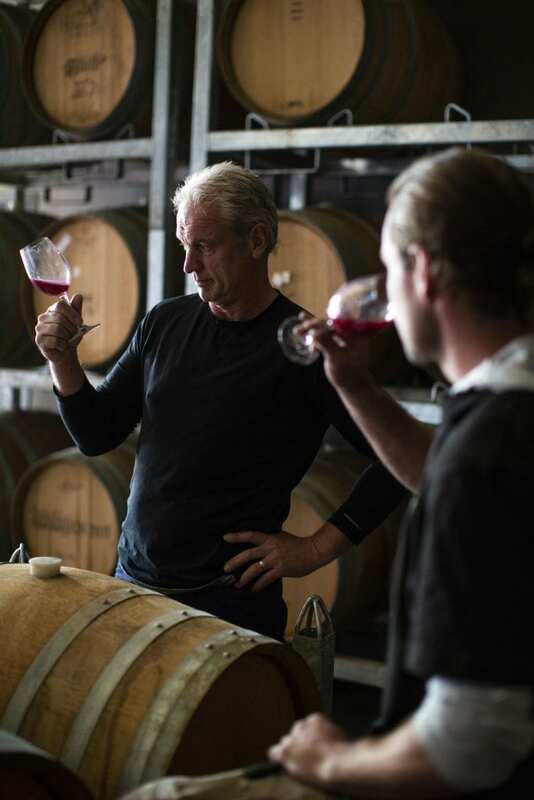 This not to be missed luncheon will pair the ‘terroir’ driven, micro-climate influenced, Yarra Valley wines of Helen’s Hill Estate, with four courses from The Barre kitchen. Marinated salmon, oyster mustard and dill bruschetta teams with the ‘Roma’s Grace’ Blanc de Blanc, while a vanilla panna cotta with infused strawberry in Chardonnay and raspberry foam and brandy biscuit for dessert, sits alongside ‘Lana’s Rose’, and that’s only part of the story. 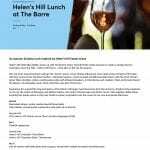 Experience for yourself the long and skinny of the Helen’s Hill range, hear the stories from the memory of Helen to the mysteries of row 25, the notion of dinosaurs and Mother Nature, the mystic of barrel oaks and all the ‘terroir’ that together define these anything but simple wines as they fuel Cecilia’s culinary inspiration over the course of one rare and special afternoon.